no additional fee! In our web-site you can see clear prices and inclusions. Home / Articles / Rainy season in Bali: not a problem! There should not be any doubt. First of all, Bali has a tropical climate , which means that many days there are no incessant equatorial precipitation here. Rains come mostly at night. Sometimes it rains during the day, but for short time. And the puddles dry out almost within a minute. Second of all, the distribution of rainfall across the island is uneven. Therefore, in some areas the rainy season is not much different from the rest of the time. Third, if you know the local climate peculiarities, having a minimal risk of rain the weddings can be held here all year round. Arrange a “rainy” photo shoot. Talented photographer can turn in its favor any whim of nature. Besides you will be able to include in your photo shoot such a spectacular accessory as umbrella. Appropriately decorated tent will not only protect you against the vagaries of nature, but also will serve as some kind of decorated site for wedding pictures. Postpone the ceremony to the next day. As the most extreme option, if nothing else suits us, we can shift the time of the ceremony or postpone it to the next day. Bad weather for two days in a row is unlikely and possible replacement of the ceremony’s site and time is usually treated as some kind of fate, desire of magical island where everything happens for a reason. Being here and watching all growing - flowering fragrant splendor of Bali in rainy season you have a desire to shout: “People! Hurry up here! 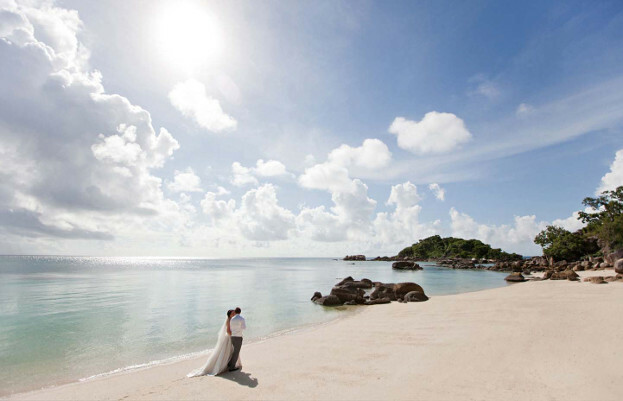 Here there are emotions, holiday and great experience!” Is not that what you expect from a wedding trip!